Gusev says the ArcelorMittal Temirtau official tried to get his son-in-law fired. A criminal case against a top manager at a giant metals company in Kazakhstan who was accused of obstructing a journalist’s professional activities has been dropped, local media reported on February 1. Oleg Gusev, the journalist at the center of the story, told Eurasianet that he believes prosecutors failed to do their job and wants them to reopen the case. The battle of wills between Gusev and mining company ArcelorMittal Temirtau has proven a story of two halves. Late last month, a court in the central city of Temirtau ruled in favor of the journalist in a libel suit filed by ArcelorMittal Temirtau, which complained that Gusev has smeared their chief executive’s reputation in a series of social media postings. The bulk of critical reporting about ArcelorMittal Temirtau has centered on the pollution that environmental activists say is being caused by the company. 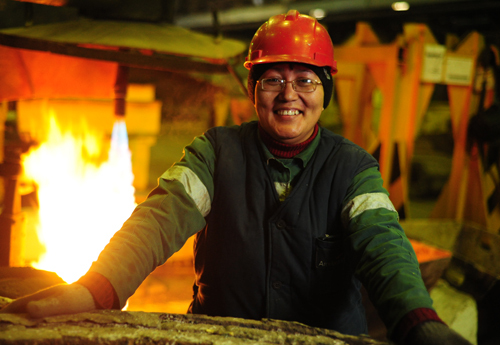 ArcelorMittal Temirtau has dismissed much of that criticism. Last January, for example, the company came under fire when the snow in Temirtau turned black. The company protested that it was not the only local source of pollution; it pointed to the growing number of cars in the town and said dirty particles were also pumped out by household heating systems. Gusev had hoped to deal a one-two blow to the miner with a separate line of attack. In October, police revealed that they had opened a criminal case against Galymzhan Kunakbayev, a senior executive at ArcelorMittal Temirtau, on suspicion of unlawfully obstructing Gusev’s professional activities. Gusev claims that Kunakbayev threatened to cancel a deal with an ArcelorMittal Temirtau contractor that employs his son-in-law as a form of intimidation. It is that case that has now been shelved. Aleksey Agoureev, a spokesman for ArcelorMittal Temirtau, called the decision a victory for good sense. “It was clear from the outset that this was a run-of-the-mill provocation. There is no other way of explaining these kinds of fabrications,” Agoureev told Eurasianet. “I will do everything possible to ensure the protection of my rights. What ArcelorMittal Temirtau did was not just blackmailing a journalist — it was an attempt by a foreign company to dictate its will to the Kazakh press,” Gusev told Eurasianet.